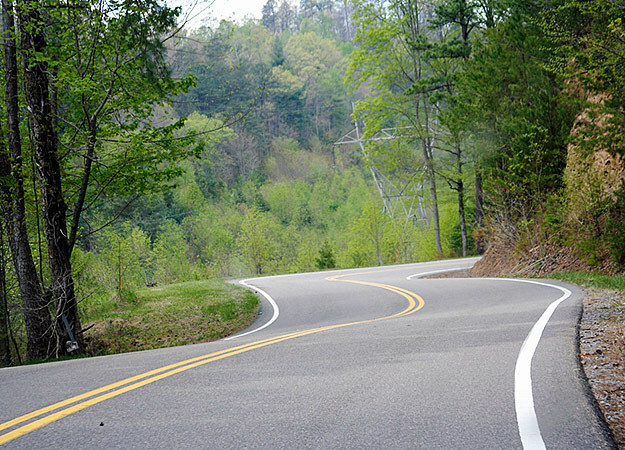 It takes quite a bit of confidence to claim to be America's number one motorcycle and sports car road, as the website for Tail of the Dragon does. But with 318 curves in 11 miles, and one bodacious name, who would quibble? If your tastes run to the macabre, check out the "Tree of Shame," a monument to the unfortunate souls who have crashed their bikes along the Tail of the Dragon. Bike parts are nailed to the tree and dangle from branches. And just in case you need more testimony to its awesomeness, Tail of the Dragon is a Hollywood favorite ... having been featured in movies and television shows, including The Fugitive and Top Gear.